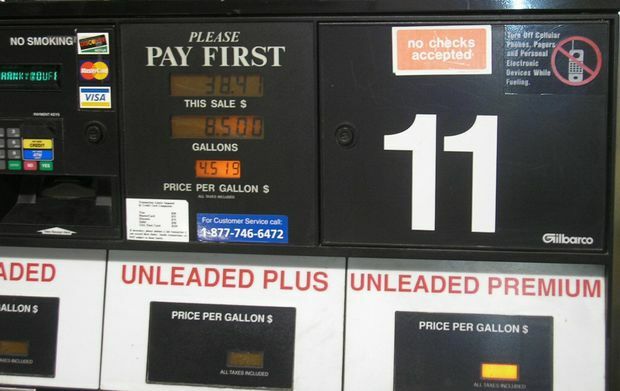 (Coppell, TX) – The statewide gas price average in Texas is $1.90 for a gallon of regular unleaded fuel, according to the AAA Texas Weekend Gas Watch. That price is the same price as last week and 39 cents less per gallon than last year. Of the major metropolitan areas surveyed in the Lone Star State, drivers in Dallas are paying the most on average at $1.95 per gallon while drivers in Amarillo and San Antonio are paying the least at $1.82 per gallon. The national average price for a gallon of regular unleaded is now $2.11 which is one cent higher than last week and 35 cents less per gallon than last year. The overall relatively lower price for gasoline in the national landscape compared to years past is reportedly prompting more drivers to take to the roads, and the U.S. Energy Information Agency’s (U.S. EIA) weekly estimates on gasoline consumption are approaching levels typical for the summer months. This increase in driving may put pressure on local gasoline markets and cause prices to move higher if demand outpaces the available supply of gasoline. However, consumers remain poised to benefit from substantial comparative savings as we enter the busy summer driving season, and it is likely that most drivers will pay the cheapest summertime prices in several years. Prices may move higher during the second quarter of the year in select Midwestern regional markets due to intermittent supply challenges and increased demand for gasoline. A number of refineries in that region are running at reduced rates due to ongoing and unplanned maintenance. This week AAA released the sixth annual AAA Green Car Guide. The comprehensive guidebook to green vehicles, including electrics, hybrids, fuel-efficient gas, clean diesel, partial-zero emission, compressed natural gas and hydrogen fuel cell vehicles, ranks more than 80 green cars on the market today. Engineers and technicians at AAA’s state-of-the-art Automotive Research Center in Southern California evaluated the vehicles and chose the Tesla Model S 70D as AAA’s Green Car of the Year. The AAA Green Car Guide will be available to AAA members at no charge at select AAA branches starting in May and while supplies last. The guide is available online now at www.AAA.com/greencar. Motorists can find current gas prices along their route with the free and revamped AAA Mobile app for iPhone, iPad and Android. The app can also be used to map a route and learn traffic conditions along that route, find discounts, locate parking, book a hotel and request and track AAA roadside assistance. Learn more at www.AAA/mobile.com. To help members and non-members identify quality auto repair shops that can assist in the maintenance and repair of their vehicles, AAA offers the Approved Auto Repair program as a free public service. AAA-approved repair facilities meet and maintain high professional standards for training, equipment, cleanliness and customer service. Motorists can look for the Approved Auto Repair sign at local auto repair facilities, or search for a nearby AAA-approved shop online at AAA.com/Repair. AAA Texas branch offices throughout the state can be found by visiting www.AAA.com. Follow AAA Texas on Twitter: @AAATexas and Facebook: www.facebook.com/AAATexas.